This contemporary toilet is well designed with clean lines, which will surely suit any bathroom. 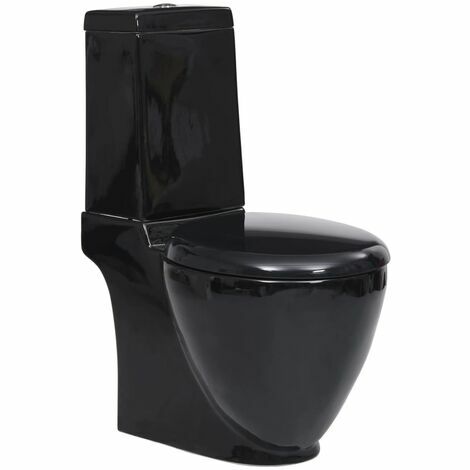 This stunning ceramic toilet comes with two pieces close coupled pan and cistern. This toilet flushes in a practical mechanism, which allows enough water to flow through. The modern dual flush system ensures 3 or 6 litre flushing. The toilet seat has a soft close mechanism which prevents loud slamming of the lid on the toilet bowl. Just a fingertip touch and the lid will close all by itself. The whole toilet is easy to use and clean. I'm very happy with this seller and would definately buy from them again. Arrived really fast, before the expected delivery date. Fast, efficient and best value I could find for this brand name! Ordered on a Tuesday arrived Wednesday.... Perfect!